Well, it's certainly no "Finish the Fight," but here is a video game marketing campaign that is at least trying something new. 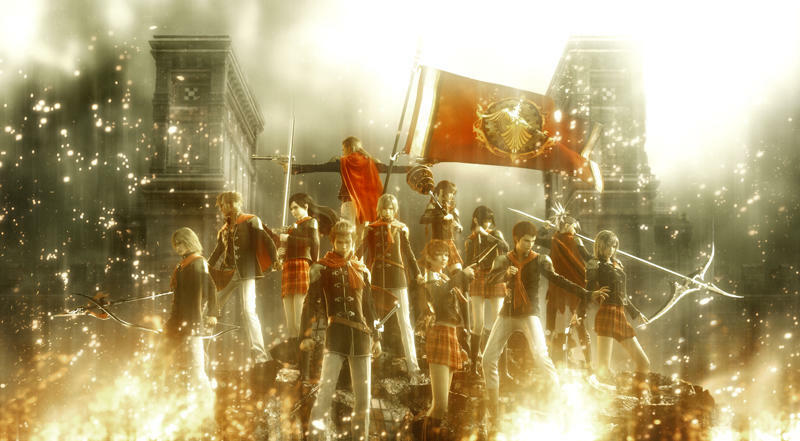 Square Enix and Amazon have teamed up together to promote Final Fantasy Type-0 HD by using Twitter to recreate the feel of a Final Fantasy battle system. Ridiculous, I know right, but the trailer says it all. Log into Twitter and go to this site, and every command you type in converts into an attack, magic or healing spell. From there, defeating enemies will land you cool swag from Amazon. You can practice daily on trash mobs to prepare for the "weekend boss battles." These events will land you even more exclusive swag like plush toys, posters, or maybe even a Final Fantasy Type-0 HD themed PlayStation 4! Final Fantasy Twitter Battle promises an in-depth look into each of Type-0 HD's characters and how to go about using them in the promotion, and it could possibly give you some clues as to how to use them in the final product! Maybe you can find a few early favorites here. "Now's your chance to join the fight," the trailer claims. Thanks, but I would much rather join the fight by playing the actual game when it launches on March 17 for the PlayStation 4 and Xbox One.